Frisian Flag is the country's prominent milk company. 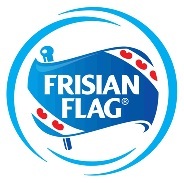 Commonly referred to as Susu Bendera by Indonesians, Frisian Flag has lead the market for 90 years.It all started in 1922 with the "Friesche Vlag" milk brand imported from Cooperative Condensfabriek Friesland – now Royal FrieslandCampina, the world's largest dairy cooperative based in the Netherlands with 16,000 farmer-members across 3 countries and 22,000 employees present in over 100 markets around the world. The industries are in constant needs of human resources to support their dynamic businesses. Various occupations appear as the fast changing development occurs. Our website accommodates these corporate needs of quality human resources, to hold up these companies in improving their performance, qualitatively and quantitatively. Frisian Flag always provide up-dated information in our website, allowing our readers to grab the latest trends in human resources and job vacancies. Should you be looking for a job, considering a change of career path or wishing for a better career in other company, you will be able to see various opportunities which maybe suitable to you. Explore the available openings in our website, find ones that match your interest, background, and competency and send your applications and supporting documents to our address. Don’t waste your time, we are looking forward to receiving your emails. Responsible for palnning, implementing and supervising sales activities within traditional outlet to meet the sales target. This position will report to the Business Area Manager. This position will report to medical detailing supervisor and responsible for planning and conducting activities in maintaining close rapport with influential medical professionals and to establish awareness, image, and consumer acceptance of company products.